Sensual. It isn’t the word most people would use to describe the Toyota Camry. 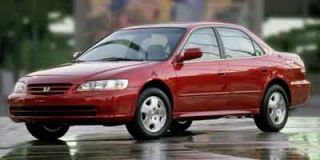 Toyota’s goal when developing the 2002 Camry was to go “from sensible, to sensual.” The new car is better than the old one in every measurable aspect, and is more exciting as well. But “sensual” remains absent from even the improved Camry’s vocabulary. Toyota has repositioned the various trim levels for the Camry, in the hopes of helping customers feel they have chosen something just a little more exclusive than the old plain vanilla Camry. 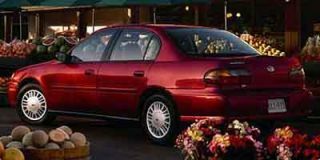 Where the company previously offered three trim levels, CE, LE, and XLE, that represented the Sears catalog “good, better, best” approach, the ’02 Camry is equipped in the LE, XLE and SE models. Rather than a linear approach, the new models target family sedan, near-luxury and sporty sedan markets. 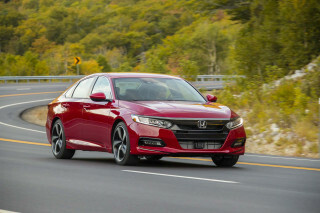 Each model offers its own set of features, and interestingly, each has a different interior treatment and dashboard, to help engender the feeling among the huge number of Camry buyers, that well, they aren’t just another member of a huge group. Market positioning nonsense aside, the Camry really is better than the previous best-selling model. It is faster, roomier, more fuel efficient, and cleaner (ULEV-compliant). Crash protection is improved, as are ride and handling. Buyers have a choice between two engines, a 157-horsepower, 2.4-liter four-cylinder engine (basically the same engine that debuted in the Highlander SUV), and the same 192-horsepower, 3.0-liter V-6 from the outgoing model, but equipped with a new intake system and throttle-by-wire system. 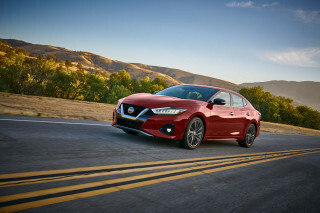 The four-cylinder’s power output is very competitive for this category, but the six-cylinder’s power is well short of that available from the Honda Accord and the new Nissan Altima. The shortfall is not apparent when driving the car, which responds respectably to a flattened gas pedal. 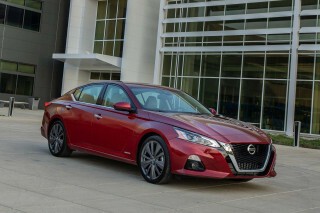 But Toyota offers a more powerful version of this engine in the Lexus ES300, and Honda and Nissan have given up the ploy of emasculating engines for use in their mainstream brand vehicles. So, it seems likely that Toyota will have to bring the Camry up to full power before long. A five-speed manual transmission is available with the four-cylinder engine, along with a redesigned four-speed automatic that has reduced internal friction for maximum efficiency. The tested six-cylinder engine is only available with an automatic transmission, but a five-speed manual transmission will become available at some point during the production of this generation of the Camry, said Donald Esmond, senior vice president and general manager of the Toyota Division of Toyota Motor Sales, U.S.A. He wouldn’t say exactly when the manual gearbox would arrive. The automatic is an electronically controlled unit that is supposed to be smarter about gear changes so that it doesn’t hunt annoyingly through the gears during situations that could require either of two gears. This technology was introduced on the Lexus LS400, so it shows how quickly luxury features are becoming mainstream these days. The Camry’s overall shape is dictated by the fundamental requirements of a practical sedan, so it doesn’t exactly cut a rakish profile. But the front features clear-lensed headlights and chiseled edges. Around back, the full-width taillights of the previous generation are gone, replaced by slick-looking lights at the corners. The look is good, but reminds us a bit of the tail of some current Nissan products. Inside, the Camry is very spacious, comfortable and quiet. 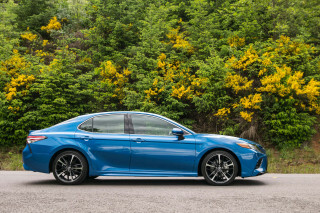 Toyota has increased headroom by three-quarters of an inch, even while raising the seats so it is easier for, ahem, substantial American drivers to plop in and roll out of the Camry. 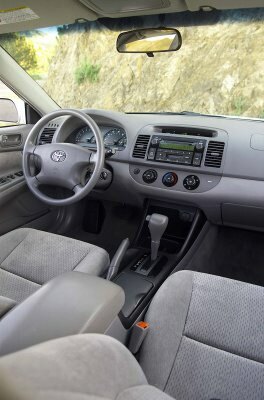 The seats are farther apart, making the interior feel roomier still, and Toyota has used door beams and optional side airbags to protect occupants in a side impact even though they are now closer to the sides of the car. The instrument panel employs a clear 180-degree tach and speedo, with tiny temperature and fuel gauges set in the less-used real estate at the high ends of the larger gauges. Rotary HVAC controls on the LE and SE are simple to use, while the XLE offers the set-and-forget convenience of thermostatic controls. Naturally, the leather interior (pleated on the XLE, perforated on the SE) was nice, but probably more importantly to many shoppers, the fabric interior was also a good-looking, high-quality material. And while a comfortable driver’s seat is critical, and the Camry’s is good, Toyota also got the back seat right. A common trick for boosting interior volume and legroom specifications is to lower the rear seat cushion so it doesn’t support the thighs of adult occupants. Toyota wisely avoided this temptation and made the Camry’s back seat cushion high enough to be comfortable, rather than cooking the specs. Another smart move was inclusion of an optional rear sunshade that is built into the parcel shelf below the rear window. 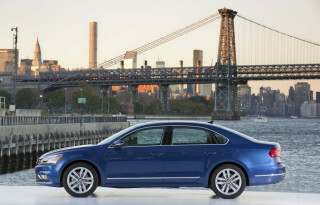 The Passat also offers this feature, and all family cars should have them. How long do customers have to stick aftermarket shades on their windows with suction cups before automakers realize that we want shades in our cars? They certainly responded to demand for cupholders more quickly, but it is nice to see Toyota put the shade into the best-selling car in the country. Next, how ‘bout shades in the back doors for the windows? The Camry SE is the would-be sport sedan of the family (you can tell from the fog lights and blacked-out headlight trim). It boasts firmer spring, shock absorber and sway bars designed to make its handling more responsive. 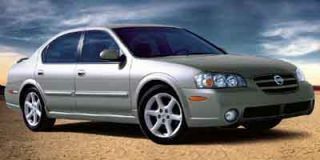 The result is very pleasant, competent and comfortable, but even this sporty model fails to elicit much emotion. 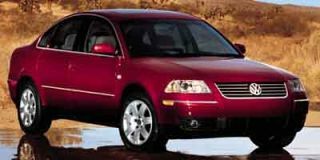 It remains a family sedan with sporty features. For family sedan buyers, this is great news. Sport sedan shoppers may need to wait until the five-speed manual becomes available. Maybe then Toyota will give them more power and better steering feel. The new Camry’s unibody structure was designed and manufactured to improve rigidity and discourage propagation of unpleasant noises. Stamping dished areas into previously flat spots makes the floor stiffer and keeps it from resonating like a drum, for example. Numerous braces are welded into strategic spots to make the car stronger and safer. 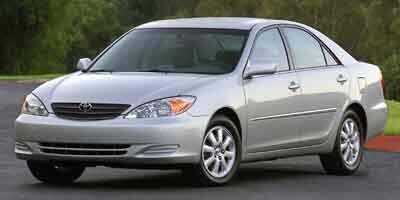 The Camry isn’t likely to offer its owners much cause to open its hood, judging from past reliability. But when they do, they’ll be pleasantly surprised to find a hood supported by a hydraulic cylinder, rather than by a low-rent prop rod. Middle America knows a hood is supposed to hold itself open, and who is Toyota to argue with Middle America? Great car, that is why it has such a high theft rate! 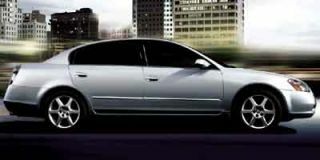 It is a great car all around, low repair, great performance, plenty of power for a 4 cyl., good lines and appearances . Terrific car with very few repairs and great mileage.